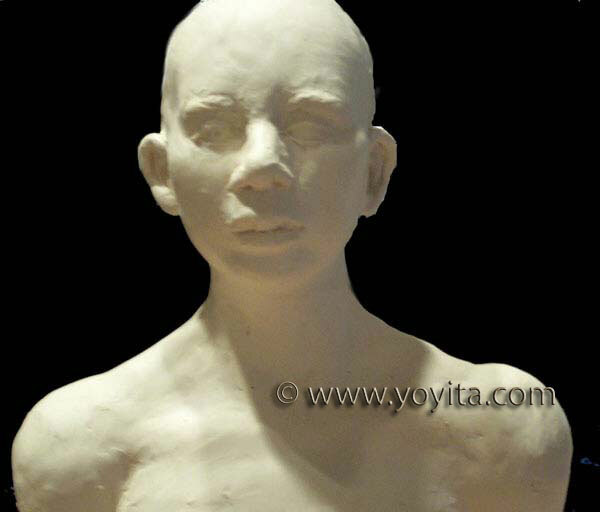 A bust sculpture depicts a human head, shoulders and sometimes part of the chest. 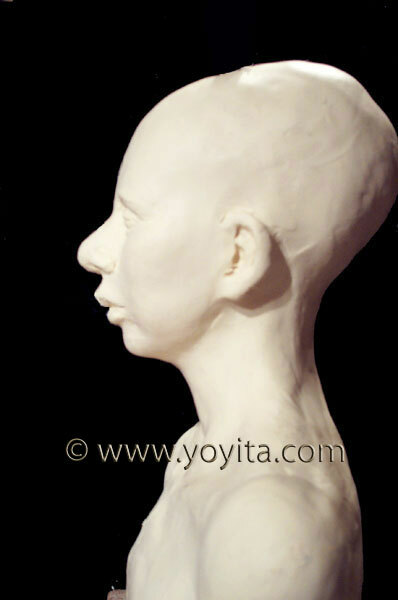 It is three-dimensional and traditionally it is soported by an stand. 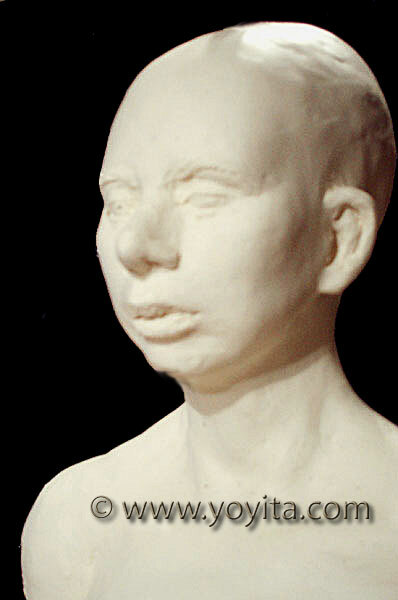 Some sculptors have found ways of eliminate the stand covering it with a cape, hair, or simply leaving the head and neck standing on a rod. 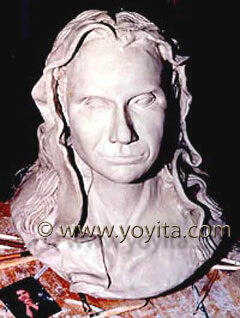 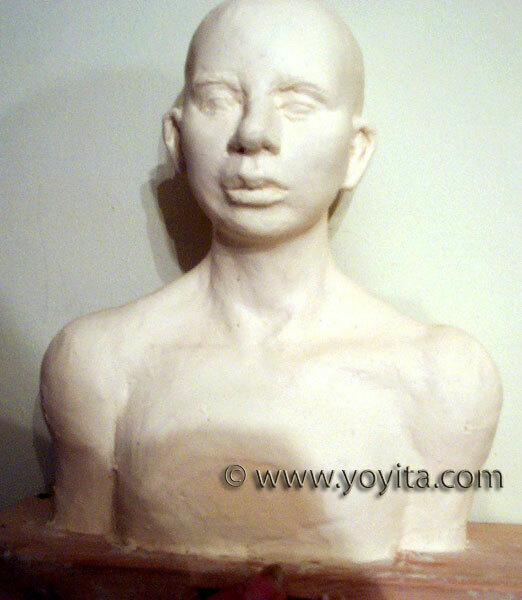 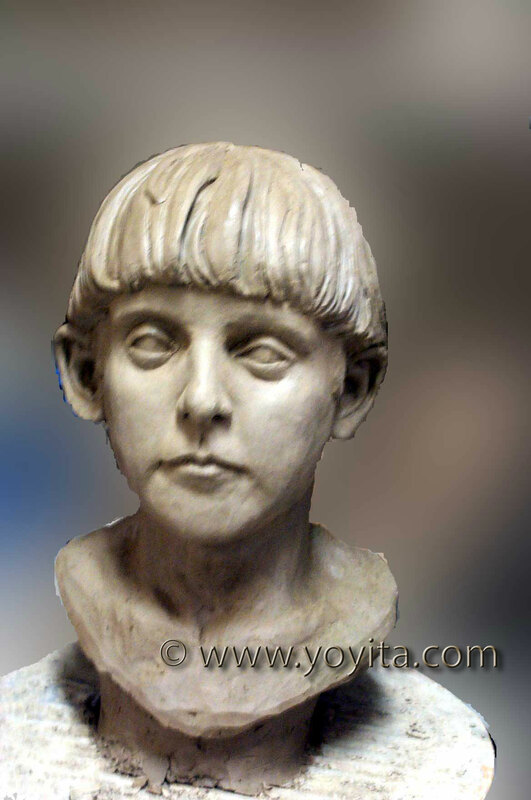 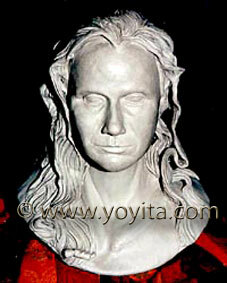 The purpose of a bust sculpture is to create a portrait of the individual in sculpture. 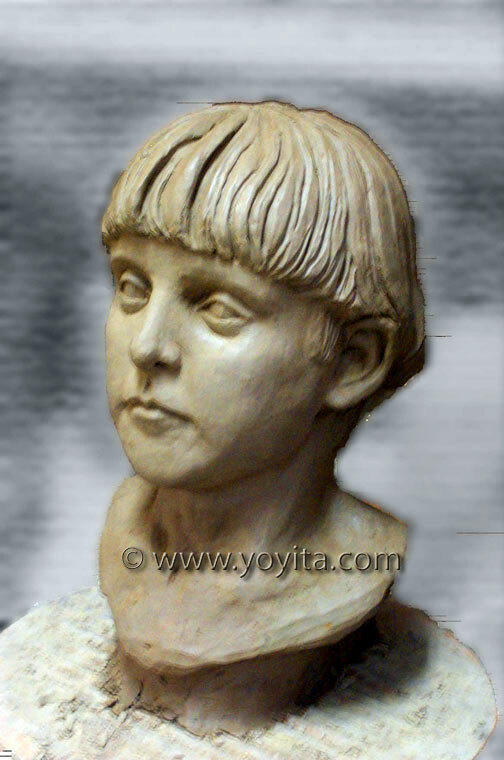 We have examples of portraits since prehistoric times, passing through egyptian art, greek, roman, etc.